Patience Hester, midwife of Liberty, West Virginia, senses the state of the world in November 1941 with terrible foreboding. Her husband, Daniel, a veterinarian and veteran of the First World War, has said that if war comes again to the United States, he will refuse to go. 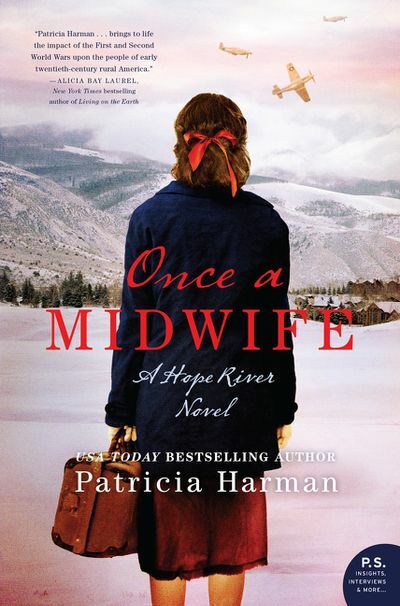 As healers, the Hesters’ moral predicament offers a compelling premise; add Patience’s past as a political activist for liberal causes and her distaste for Nazi Germany, and Harman has drawn her battle lines. I wish I could tell you that Once a Midwife takes off from this promising platform, delivering a meaningful narrative that explores conscience and convenience. Unfortunately, directly or by implication, the novel lets just about everyone off the hook, which results in a moral tale lacking the requisite compass. Evil boils away until the dregs belong only to the local KKK or the SS assassins of Eastern European killing fields. Racism? Not here; the African-American characters may receive a cold look or two, but most everyone else is the soul of tolerance. Somehow, the Holocaust has become public knowledge in rural West Virginia a year before anywhere else, and, even more miraculously, nobody in Liberty voices prejudice against Jews, even at a meeting of America First, an organization notorious for anti-Semitism. Consequently, the bad guys are the few, irredeemable Them, whereas the good guys are Us. And since everyone’s the same underneath, why can’t we all live in peace and harmony? Asking that all-important question in December 1941 might be a bit late, but, in any case, the people in this novel aren’t flexible enough to grapple with it. Patience tells the reader and other characters what she feels, referring to facts from her past or current events, announcements that turn a potential person into a headline. Daniel’s even less convincing, for he sounds alternately like a whiny adolescent and a holier-than-thou prophet. Rather than show why he’s a pacifist or have him struggle with his beliefs, Harman has him recite potted history that could have come from a seventh-grade textbook; when pressed, he tells generic stories about his war service. So he’s a talking head who’s got glib, half-baked answers for everything, not a deep-thinking man of conscience. But he’s not alone, for characters in Once a Midwife seldom talk to each other. They talk at each other, usually to dump information—and boy, are they misinformed. I firmly believe that historical novelists should have poetic license, and that the writing and presentation matter ten times more than research. Still, I need to believe that the author has some sense of what facts she’s changing and why, whereas here, I question Harman’s grasp of the era, its events, and especially its timeline. The war seems to serve merely as a cauldron to dish up convenient plot points. Meanwhile, the premise contains enough untapped conflict to fill a novel by itself. For instance, why doesn’t Patience — or anyone — ask Daniel whether, as a veterinarian serving a farm population, he’d try to get a deferment for an exempt profession, especially given his age? He might not listen, because he refuses even to register for the draft, but so much the better—another point of conflict with his beleaguered, overwhelmed wife, more room for him to show (not explain) his principles. Also, Daniel’s situation might have changed when, a year after Pearl Harbor, Selective Service lowered the age of draft liability to thirty-eight, a fact that the narrative doesn’t mention but a circumstance that offers another possible iteration of the same conflict. But these moral complexities, which should be the novel’s strength, wind up resolving themselves. At several points, Patience wonders whether her husband’s a weakling or has taken dubious positions, for which she hates him for short bursts, invariably snapping out of it. It’s as though the narrative prevents the characters from getting too upset with one another—a common flaw in feel-good novels, but unfortunately, Harman pushes this into the realm of cluelessness. She evokes the hurtful, ignorant trope that divides Germany into a basically decent but cowed majority and a tiny sliver guilty of all evil, a morally simplistic position that denies history and insults the victims. Worse, Harman underlines the (studiously low-level) bigotry, rampant jingoism, small-mindedness, and government propaganda visible in Liberty; weighs that against Axis lies and brutalities; and implies that it’s a wash. I must confess I nearly lost it when a group of German POWs recently arrived to West Virginia sing a Christmas carol and in this way prove their basic humanity to Patience’s satisfaction. With little hesitation–and even less thought to what they might have done–she gives a pass to men who’ve bloodied and terrorized half of Europe. Where’s the moral sense in that? Disclaimer: I obtained my reading copy of this book from the publisher in exchange for an honest review. He’s illegitimate, an orphan born to poverty in St. Croix; she’s the daughter of one of upstate New York’s first families. He, though a devoted family man who yearns for the warm, close-knit hearth he never had, loves nothing more than a fight, whether on a battlefield or in a political assembly. She, though she picks up the pieces — her lot as a woman — resents her husband’s role as a lightning rod and correctly predicts that they’ll suffer for it. This is the romance between Alexander Hamilton and Elizabeth Schuyler, and a tragic, touching tale it is. Cobbs begins the narrative with each protagonist as a child. Alexander struggles against the shame of his birth, and you don’t need to be told (though Cobbs does) that he’ll grow up touchy about his honor, in an era when the concept already has a rigid, constraining definition. The shadowy interior smelled of wood smoke and roasting meat. Shelves burdened with gourds and lidded baskets lined the walls, and ears of drying maize tied by their silks hung from the rafters. Groups of men lounged on rugs, some made from bearskin, others from cloth. The translator showed them to a bench facing a low table made from a single plank. Thank goodness, Eliza thought, since she hadn’t the faintest idea how to sit on a bearskin with the dignity she knew her father expected. The description reveals a major strength of The Hamilton Affair. Cobbs, a noted historian, renders the scenery, sensations of everyday life, mores, and issues in vivid, economical prose. You can see, for example, how the North-South divide over slavery, banking, manufacturing, trade, and foreign policy crops up the minute the Revolution ends, setting up the Civil War. Cobbs does a great service paying due homage to Hamilton, whom I had always thought a man of ability but an elitist. I’ve now learned that this is the viewpoint his detractors left to history, because they had the last word. But it’s how he got those enemies that makes Cobbs’s narrative of interest. Her Hamilton doesn’t suffer a fool gladly, but there’s much more to it. How ironic that his opponents cast him as beholden to patrician interests when they’re the patricians — the Virginia planters like Jefferson, Madison, and Monroe, or the New York gentry like Burr or Clinton. As a largely self-taught polymath, a nobody who rises to be Washington’s right hand—his accomplishments are truly mind-boggling–Hamilton poses a threat to men who feel they have the right to rule. Throw in his intense dislike of slavery, and he’s doomed. What a fascinating story, but as a novel, The Hamilton Affair seldom escapes a mechanical, ordained feel. 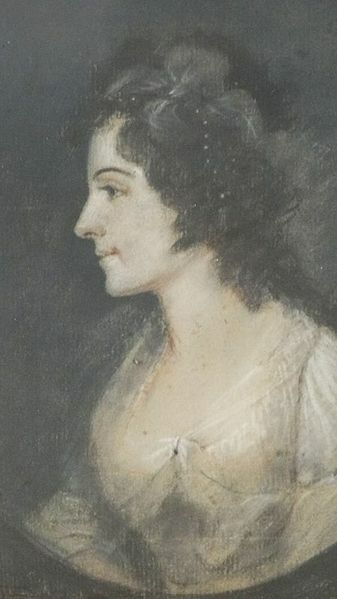 Eliza, a woman much put-upon, would have been much more sympathetic (rather than an object of pity) had she more depth, as in a serious flaw or three. She represents important feminist ideals before they had that name, but she’d symbolize them all the better as a rounded character. The narrative structure is the crucial weakness, though. Cobbs chooses key dramatic events for many chapters, which is fine, but the intent to cover her protagonists’ entire lives sets up gaps of time and circumstance, which in turn involves playing catch-up so that the reader doesn’t get lost. As a consequence, the author throws dozens of facts into dialogue and internal narrative, which land with a dull thud; and many chapters start at pivotal moments, only to backtrack, covering so much material that the forward narrative stalls. It’s just too much to fit, especially when the two principals don’t meet until about page 120. If fact, description, and the march of history take precedence here, that leaves less space for emotions, and Cobbs surrenders to the temptation of telling rather than showing them, even at make-or-break moments. During the courtship, for instance, when Hamilton sees that he can’t put off telling Eliza about his birth and early life, you’d think he’d feel intensely pent-up. Here’s a man passionately in love with a beautiful, adventuresome, understanding young woman, yet he fears she’ll reject him once she knows the truth of his origins. This emotional moment, surely among the most significant of Hamilton’s life, receives a brief, rote paragraph. I’ll say this for The Hamilton Affair: The book prompts me to put Ron Chernow’s highly regarded biography of the great man on my to-be-read pile. But as fiction, Cobbs’s novel tries to tell too much, and winds up showing too little. Some books I want to like because their themes speak to my principles, and their premises and storylines promise to teach me something. That’s why I was eager to read The Widows of Malabar Hill, but I wish I could say the novel is anything other than a disappointment. The year is 1921, and Oxford-educated Perveen Mistry is the first female lawyer in Bombay, and one of the few in India. Since she hasn’t been admitted to the bar, a result of sexism rather than ability, she may not argue cases in court as a barrister but only take depositions and process legal papers as a solicitor. In this capacity, she serves her father’s law firm, and though Perveen wishes she could do more exciting work than read contracts and wills, she’s resigned to it — more or less. However, a well-to-do client of her father’s, a Muslim textile-mill owner, has just died, and there are issues concerning the inheritance due his three wives. It looks to Perveen as if a swindle is going on, so someone must talk to the widows. But not only are they in severe mourning, they live in purdah, or seclusion, never leaving the house and certainly not speaking to men. At best, Perveen’s father might obtain a group audience through a grille, but he could never see their faces to gauge whether they were telling the truth or speak to them alone. So Perveen goes in his stead. And what she finds is not only a swindle but conflicting interests within and without the house that will lead to murder. What’s wrong with this? Nothing. It’s where Massey takes her premise — and how she gets it there — that’s the problem. First of all, the mystery doesn’t really start until page 70 or so, which slows the pace considerably. The rest is back story about Perveen’s romantic history. Though her past explains her intense commitment to justice for women, her parents are actually more interested in seeing her graduate law school than in finding her a husband. Consequently, there’s no push that Perveen must contest, no contrast here to justify the back story, no barrier to overcome. The two plots intersect, but barely, and had Massey dropped the romance, the mystery would have remained intact. Though Perveen’s life experience provides a different cultural context from her legal sleuthing, the theme of women struggling against sexism is already evident, so the romance adds nothing new there. Nevertheless, Perveen’s past includes some of the most compelling scenes in the book. She’s a Parsi, a descendent of Persian Zoroastrians who emigrated to India centuries before. 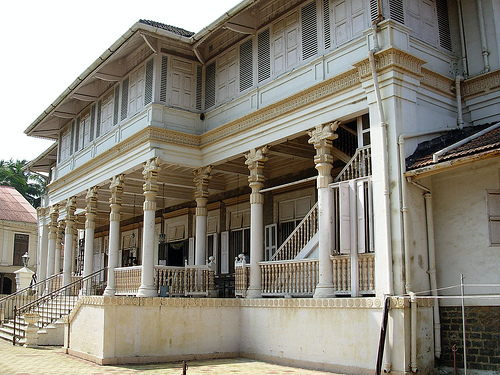 Massey has much to say about Parsi customs, culture, and how a (relatively) liberated young woman like Perveen chafes under a tradition that puts men firmly in charge. For instance, under Parsi law at that time, a wife could obtain a divorce on the grounds of infidelity only if her husband had consorted with another married woman, whereas visiting a prostitute was his right. To her sorrow, Perveen learns that no redress exists for virtually any form of marital abuse, unless it threatens her life. I could have gladly read more of this painful, poignant story of a young woman’s fight to preserve her individuality and freedom against insuperable odds. But even there, I would have liked a subtler narrative technique, the lack of which undoes The Widows of Malabar Hill. Massey has a great deal of information to impart, and I’m happy to learn it, but I prefer not to have it dumped. Too often, characters explain in dialogue what should be shown or implied through action, and though the subject matter and situations are new to me, I find that the stilted, undramatic presentation stifles the story. The rhythm of the plot involves bursts of action followed by lots of talk, and the latter feels heavy after a while. The mystery therefore suffers, as characters race to and fro, only to stop and exchange information, important parts of which are privileged, conveniently discovered, or withheld from the reader altogether until a key moment. The seemingly obligatory scene in which Perveen confronts the criminal follows two formulas so ancient they’ve grown mold. The culprit not only confesses but does so more volubly than seems plausible. It’s too much talk yet again, the weight that sinks a novel that begins with so much promise.